The GOP 2012 campaign is a national tragedy masquerading as a trivial farce. Like a lot of people, for a while there I was faintly amused by its theatrics until the never-ending series of political gaffes began to make me angry. Week after week we've had to endure these millionaire phony populists, whose bank balances dwarf the average American's, striving to outdo each other with their fake folksy charm. These people are not folks, or at least not the folks that live on your streets, unless you’re reading this in a gated community in Aspen or some such place. That’s why their naked appeals to the basest prejudices of the white working class rankle me so much. In every other avenue of their lives, they will never encounter us after our votes are cast. And with that aw shucks presentation style they have cheerily prescribed the vile torture tactics of the Khmer Rouge, they have supported the continued persecution and isolation of disfavored minorities like immigrants and gays, and they have passionately defended the absurdly rich from paying their share to participate in our democracy. If the stakes weren't so high it might be funny. If so many people weren’t out of a job and facing the current job market we might even smile. But these supremely unqualified candidates are running for the highest office in the land and most of them, it’s already become clear, would struggle to run a McDonald’s. 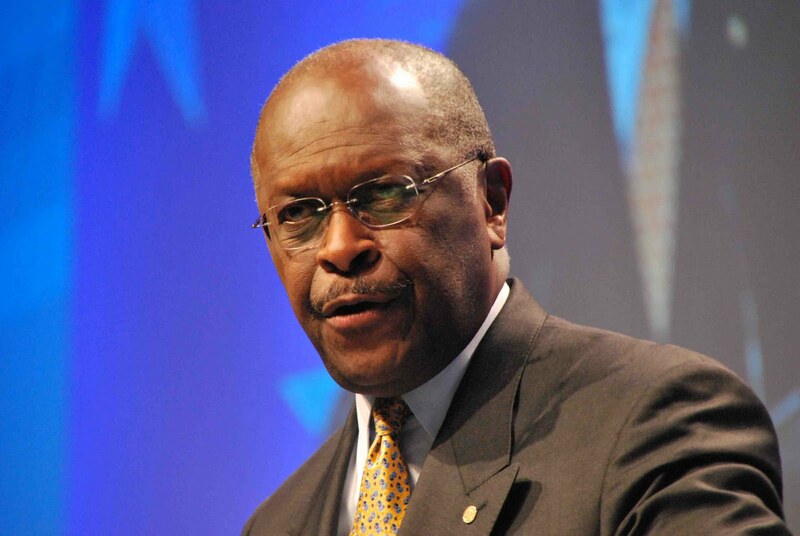 This week’s most delusional player is Herman Cain. Already the subject of sexual harassment complaints by no less than four women (one of them a Tea Party supporting conservative), this week Cain floundered when asked to give his response to President Obama's foreign policy. “OK, Libya,” Cain said, rolling his eyes and taking a very long moment to gather his thoughts after being asked if he agreed or disagreed with Obama's response to the uprising there. Said Cain, “President Obama supported the uprising. Correct? President Obama called for the removal of Gaddafi. Just want to make sure we’re talking about the same thing before I say, ‘yes I agree’ or ‘no I didn’t agree,’” he said. He pronounced head as heed. Apparently twirling around in his head was a mature response to the question he was being asked. But it never emerged. Instead he sounded like an embarrassing mash-up of opportunistic far right talking points and Foghorn Leghorn. Call it George W. Bush’s true legacy. After his desperate example, nowadays literally anyone can imagine themselves qualified to become president of the United States, even a pizza parlor CEO. Watching this lineup of candidates last weekend, I was struck by their inability to offer even one new idea to strengthen America’s foreign policy or develop stronger economic or political ties with our allies and our adversaries. Of all the candidates onstage, only Jon Huntsman, Mitt Romney and Newt Gingrich had the gravitas and experience to actually form semi-intelligible answers to the questions they were being asked. Huntsman in particular likes to wander off the right wing jingoism reservation, to offer serious and considered responses, but in doing so he is forfeiting his chances of ever becoming the GOP nominee. Romney offered no new vision for America’s foreign policy, but nor did he offer insane observations such as Michele Bachmann’s contention that President Obama has abandoned Israel to pursue his interest in Occupy Wall Street. Romney is almost certainly the 2012 candidate, but conservatives mistrust his weather vane performance which comes, after all, from a life spent adapting to market forces rather than political ones. Gingrich has endorsed torture as an effective tool in the U.S. arsenal (studies have shown that it is not, however) and is completely unelectable -- let’s not forget he was dumped by his own party and is unlikely to become its standard bearer ever again. But this is the moment to reflect that the United States of America has been a beacon of liberty and hope for all nations for longer than any of us have been alive. True, the fabric of the American Dream is looking threadbare in this new age of crony capitalism and plutocrats on the rise, but hope and history have shown themselves to be thorns in the side of the few who exploit the many for their own gain. It seems it has become a time for the many to insist the gilded few pay their share -- bailouts should cut both ways, after all. One thing is certain. The challenges facing the country will not be met by unqualified and unserious candidates who, each time they hog the limelight, show themselves completely unfit for office or the tenor of the times.